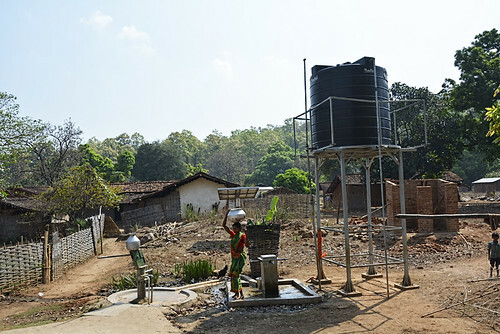 Thanks to the successful implementation of the Rural Water Supply and Sanitation (RWSS) scheme, villagers began to believe in collective action and community development. Since India became independent in 1947, the central and state governments have introduced various rural development schemes, and have been trying to get them to converge. While this effort hasn't been as impactful on a large scale, there are some success stories. Sarda Panchayat in Sambalpur, Odisha is one. Sarda, which comes under the Badrama Elephant Wild Life Sanctuary, was one of the most backward panchayats in Jamankira block. The panchayat with a total population of 1243 comprises under its jurisdiction Sarda, Tileimal, Pathuria, Podadihi and Saloi villages. Tribes such as Koundh, Oraon, Khodia and Gouda are its primary inhabitants. Selling sal seeds and mahua was the main livelihood in the village. 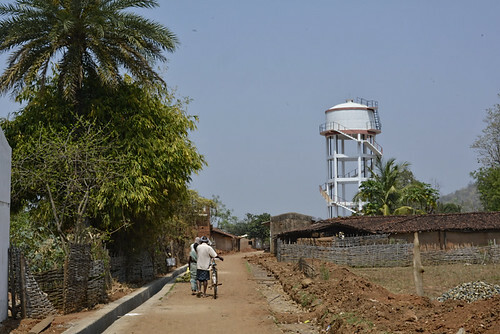 “Due to the Wild Life Sanctuary and harsh terrain, the inhabitants of the panchayat were totally alienated from the outside world for more than 60 years because the district administration made negligible efforts to improve the underlying condition of the villagers”, says 42 year old Ladha Dram, a resident. The panchayat did not have a road network or electricity, nor other basic essential services. Despite extreme poverty overall, the panchayat records showed only eight households that had a Below Poverty Line (BPL) status. 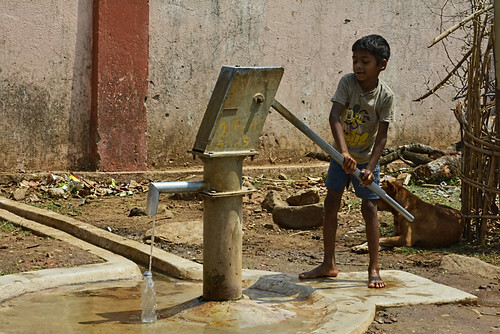 In 1984, two hand pumps, which provided Sarda village its only source of safe drinking water, were installed. The other four villages in the panchayat had no water facility except for one well and one spring but these were not fit for drinking. The spring water was muddy and the water in the wells was affected by microbial contamination. Women from these four villages had to walk more than 3 km just to bring drinking water from the hand pumps for domestic consumption. Water-borne diseases like diarrhoea, typhoid, jaundice, etc. were rampant because of unavailability of adequate safe drinking water in the area. Due to dense forest cover, it was difficult for the village to be connected to nearby cities. During the 1990s, the Sambalpur SP Gopabandhu Mallick went to Sarda after an arms manufacturing unit that aided Naxal activities was discovered. This was the first time in the history of Sarda panchayat that a government officer had visited the village. After his visit, the problem related to the Naxals ended in a year. In 2013-14, some members from an NGO called Atmashakti visited Sarda panchayat and conducted a survey to understand the socio-economic situation of the panchayat. They found that the community was extremely marginalised, and that the villagers were migrating to other places due to a lack of livelihood opportunities. Their expenditure on health was increasing because of frequent occurences of water-borne diseases such as diarrhoea, typhoid, jaundice and malaria. Such disturbing social indicators led the Atmashakti team to mobilise the people to demand essential services. The people of Sarda panchayat shared the survey report with the Sambalpur district Collector Balwant Singh. "The Collector patiently listened to our problems and assured us that he will bring positive changes in our lives. The ray of hope shown by Atmashakti team members showed us a way to bring positive change by our concerted efforts", says Umakant Pradhan, President of Sarda Panchayat Committee. At the end of 2014, the district Collector took the initiative and decided to included Sarda panchayat under the Sansad Adarsh Gram Yojana (SAGY) and implemented almost all government schemes under SAGY in a step-wise manner. beginning with the Rural Water Supply and Sanitation (RWSS) scheme that provided water connections to the people. This brought the villagers together for the first time as drinking water was provided to 100% households with the help of solar water units, hand pumps and an overhead water tank of 50,000 litres. After the success of RWSS, the district administration also implemented Odisha Livelihood Mission (OLM), National Rural Health Mission (NRHM), MGNREGA and other infrastructure work projects thereby making the panchayat an example of the convergence of various government departments and schemes. The combined efforts of the community and district administration have successfully mobilised Rs.3.26 crore without duplicating any resources to build schools, hostels, a village community centre, a bridge, individual houses, and ponds in addition to developing land for agriculture and goat and poultry farms. Apart from the above, skill development centres to train the youth were also created. To make the entire panchayat free from open defecation, the district administration also sanctioned toilets for every household. On the persistent demand of the community, the District Collector agreed to lay 10 kms of roads within the wildlife sanctuary as well as plan for electricity connections. All this happened in just one year. Neighbouring villagers of other panchayats now believe that working together can lead to positive developments. “It is a dream come true for the villagers. 90 percent of those who migrated out of Sarda panchayat have now come back. No one migrates now”, says Prabhashari Bag, Sarpanch of Sarda panchayat. View pictures of the work done at Sarda Panchayat.